Give a gift that gives back! 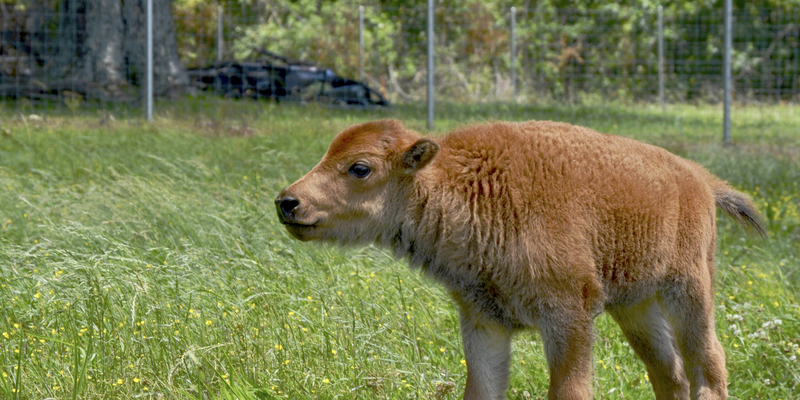 When you adopt a buffalo in honor of someone you love, we'll send some extra gifts their way! Shipping: We ship anywhere in the U.S. at no extra charge. 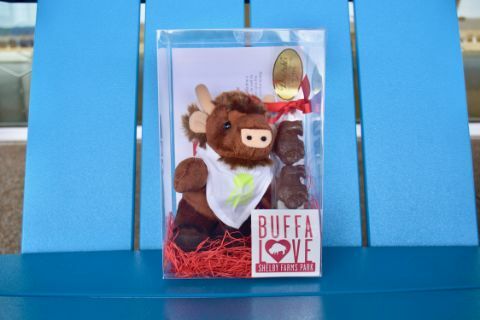 If we are shipping the buffalo adoption package directly to you or to a recipient, please allow approximately 3-5 business days for delivery. Last day to order for guaranteed delivery by Valentine's Day is February 10, 2019. International orders may require additional fees, but we'll let you know up front! Pick Up: Want to show your favorite park some love? Pick up this gift in person to help us save on shipping fees! Order online using the link below, or purchase an adoption at the Lake's Edge Gift Shop. Please email give@shelbyfarmspark.org or call 901-222-7245 to arrange pick up of online adoptions. A Feed the Herd donation helps offset the cost of feeding the entire herd for one day. While the herd grazes on the grass in their range, we supplement their diet with sweet feed and natural supplements to help them stay in tip-top shape! you can reach us at give@shelbyfarmspark.org or (901) 222-7245. Want to learn more about Shelby Farms Park's iconic buffalo herd? Click here!